Many people, including my Peruvian friends, had told me there’s not so much to do in this city before I decided to put Lima in my itinerary. Surprisingly I loved this city very much, regardless how busy and messy it can be. I guess Lima is not an easy city to love, that’s why many travelers only use it as a stopover. Lima is a diverse city, you can see it if you travel from one area to another. I stayed in Miraflores, one of the safest area in Lima. I traveled to different neighborhoods in the city. Silvia is an Andean town in Cauca Department, Colombia. Every Tuesday, an Indigenous market of the Guambiana community takes place in Silvia. The town is not far from Popayán, I went there for a day trip when I visited Popayán. 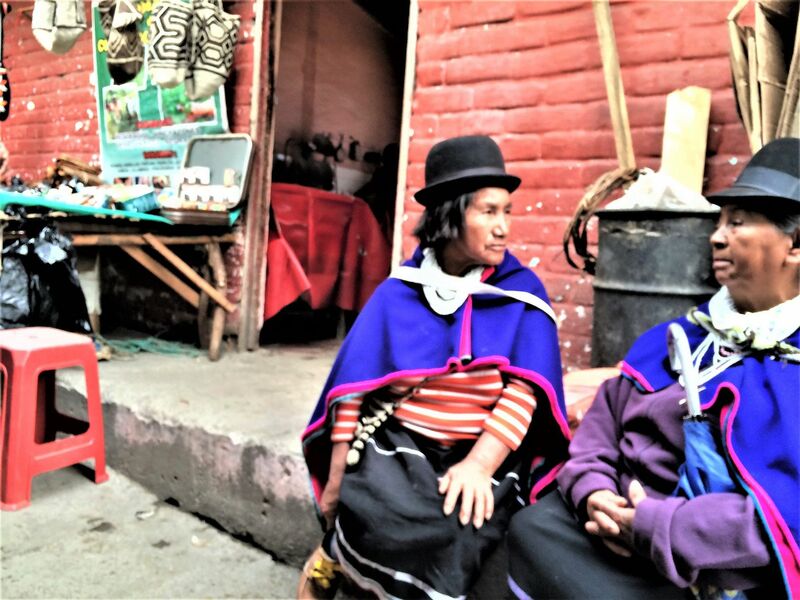 It was mainly the indigenous Guambiano Indians living in the nearby areas who host and come to the market. I love their traditional clothes. They all wore hiking shoes, blue capes, long swing skirts and a lovely wool felt hat. In the market, mainly the agricultural product and meat was sold, plus some clothes and shoes. There are also a small area of food stalls where you can get lunch and snacks. The market was not really touristy. I did found some handmade beaded bracelets to buy, but not such a tourism industry there selling mass souvenirs. Still, it attracts some tourists, including myself, I even saw a lady who bought the whole set of Guambiano traditional clothes and was super happy posing with them on.